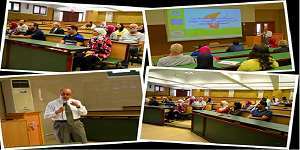 • Prof. Mohamed Gaber, the Dean of the faculty of Engineering. • Prof. Mohamed Naeem Anwar, the Vice Dean for Education and Student Affairs. • Dr. Alaa Khalil, the Leader of the faculty student activities. • Dr. Mohamed El Kholi, the International Competitions Coordinator. • Prof. Mohamed Gamal Wasel who works in the Mechanical Engineering Department. 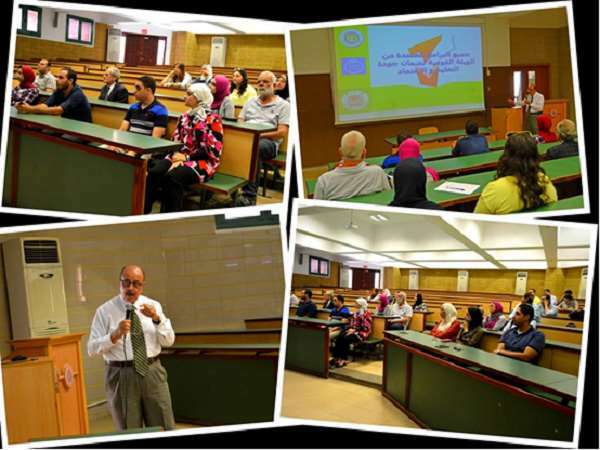 The open day was attended by a number of faculty members, teaching assistants, prospective students and their parents. By the end of the event, a discussion was opened between parents and faculty members to answer some of their inquiries which could be summarized in the following points: the requirements of admission and registration, study programs, partnership with the KTH Royal Institute of Technology, entry requirements for the departments of the faculty of Engineering, the right of membership to the Syndicate of Engineering after graduation and scholarships for the high school top graduates as well as students with special needs.